Lawyer, MLA (1908-1910), MP (1917-1921). Born at Clinton, Ontario on 19 April 1872, son of John M. and Mary McLagan Campbell, his family came to Manitoba from Huron County, Ontario in 1880. He was educated at Winnipeg Central School and Manitoba College. He taught school in Manitoba from 1890 to 1896, and was Principal of Boissevain School (1893-1896). He articled in law with the firm of Perdue & Robinson, then was called to the Manitoba Bar in 1899. He started a legal practice at Dauphin in December of that year, with the firm of Campbell & Simpson. He served as a solicitor for the Bank of Montreal, Town of Dauphin, and Bank of Nova Scotia. On 12 February 1919, he married Elsie M. Thompson (1890-1975), with whom he had a son. He was a member of the Dauphin School Board and a charter member of the Dauphin Board of Trade and Canadian Club. Defeated in the 1903 provincial general election, he was elected in 1907, then defeated in 1910 and 1914. He moved to The Pas in 1915, and was appointed Commissioner for Northern Manitoba in May 1916. Campbell was keenly interested in the development of the North, and was a staunch advocate of the Hudson Bay Railway. He resigned the commissionership to seek election to the House of Commons in 1917, being replaced as Commissioner by Robert C. Wallace. 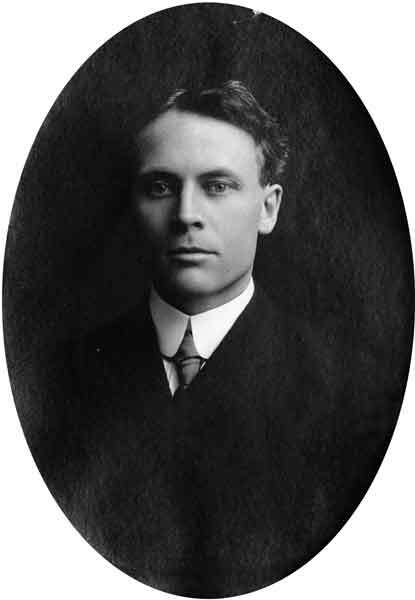 He resumed his law practice in 1921, and his commissionership from 1921 to 1924. He was made a King’s Counsel in 1929. In 1962, he was inducted into the Manitoba Order of the Buffalo Hunt. He died at Brandon on 26 November 1963 and was buried in The Pas Cemetery. There are papers at the Archives of Manitoba. A large collection of his photographs taken around northern Manitoba is held at the Sam Waller Museum. He is commemorated by the Jacam siding on the Herchmer Subdivision of the Hudson Bay Railway. Obituary, Biographical Scrapbook B13, page 161, Manitoba Legislative Library. Obituary, Winnipeg Free Press, 29 November 1953, page 25. We thank Nathan Kramer, Ralph McLean, and Robert Huck for providing additional information used here.